Dr. Helen Noel is a psychiatrist working on board the Enterprise. 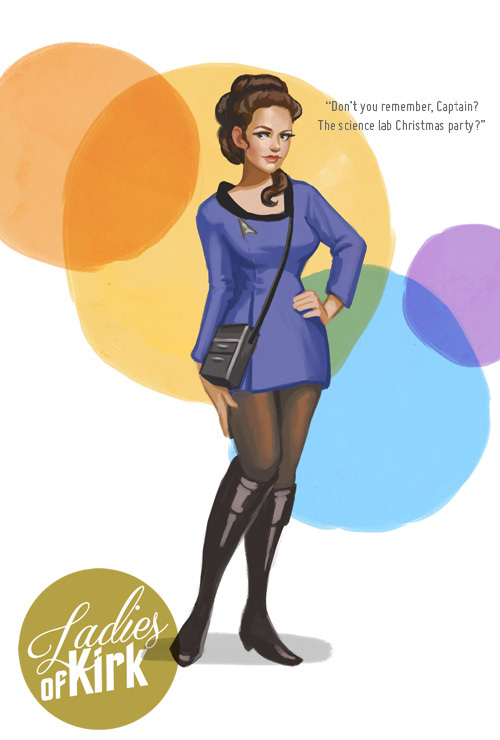 She and Captain Kirk have a history, and she won't let him forget it. When Helen and Kirk are trapped in a penal colony run by a sadistic scientist, Kirk is subjected to a brainwashing device that makes him feel as if he is desperately in love with Helen. 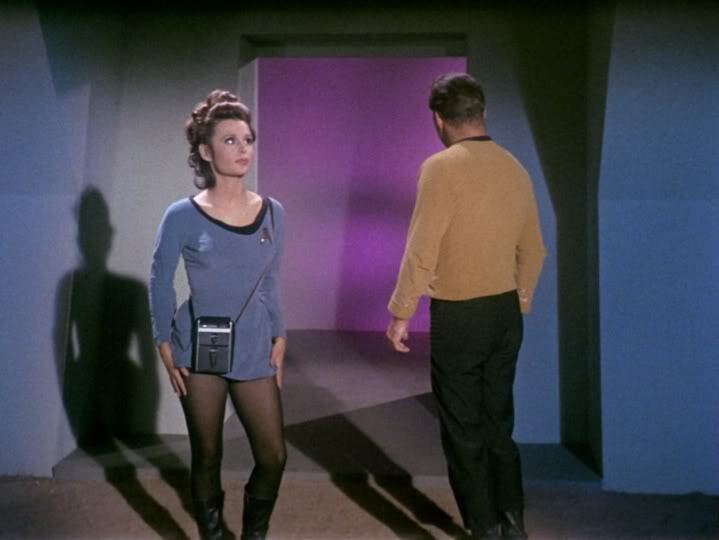 Helen chooses to put aside her feelings and resist Kirk's advances in order to help him overcome his brainwashing and escape the colony. 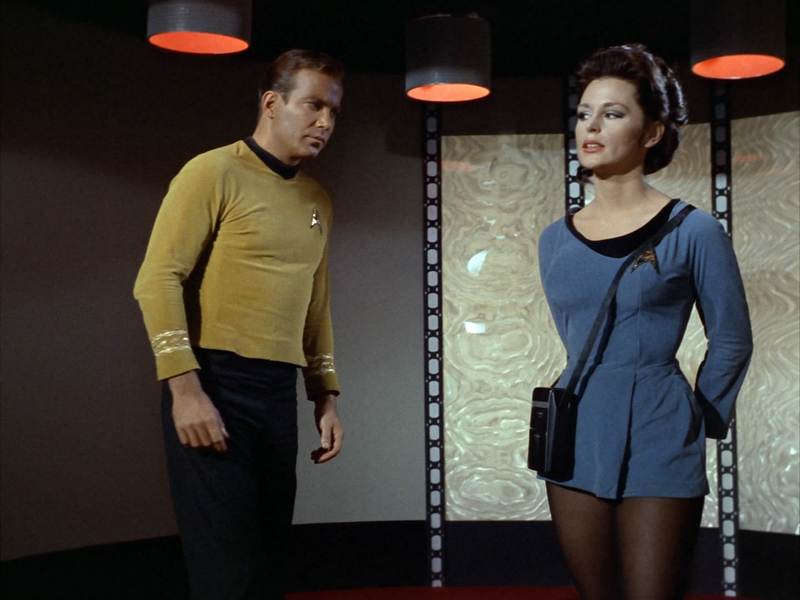 Yet again, a mad scientist traps Kirk on the surface of a planet with a beautiful woman. His life is rough! Helen is a pretty strong female character for Star Trek. At first she comes off as an annoying ex who just won't let go of the past, but in the end, she is the clear-headed and rational one who snaps Kirk out of his false romantic obsession. She gets to actively participate in the escape plot, including the classic move of crawling through air ducts. Additionally, I imagine that the idea of a female psychiatrist was pretty progressive for the 1960's. As far as costume goes, it's a standard Starfleet-issued miniskirt, but it seems a few sizes too small for the actress. In almost every photo I found of her, the poor woman is clearly trying her best to keep her skirt as flat as possible. I guess in the future, clothing still shrinks in the dryer. I love the 60s bubbly backdrop you've got going on here. And those killer false eyelashes! I've never had the opportunity to see these early Star Trek episodes (ironically, as if there's anyone who will watch cheesy cult 60s tv, it's me). One day I really must check them out! 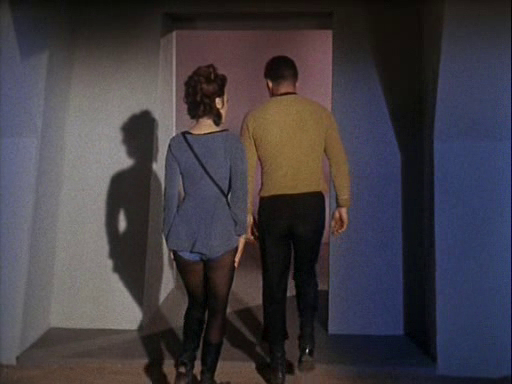 My new goal with this series is to make a Star Trek TOS fan out of you.